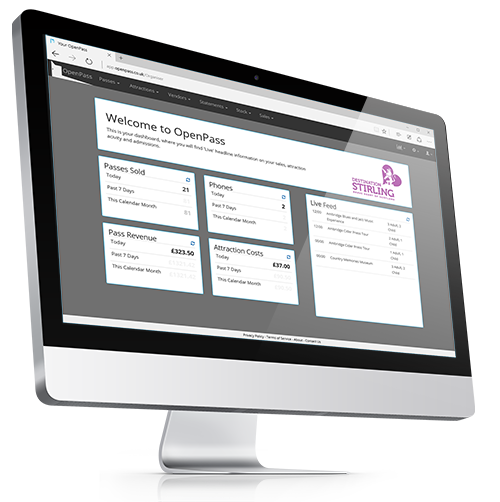 Open Pass is our flagship software for the Tourism industry handling tickets, itineraries and passes – purchase through to fulfilment. TWG offers a complete range of software solutions to Destination Management Organisations (DMOs, such as Tourist Information Centres), tourist Attractions and third-party Vendors of tickets including Travel Agents, Hotels and Travel Websites. Open Pass connects DMOs, attractions, vendors and buyers together. For the tourist it allows entry into a large range of attractions whilst handling all the background financial transactions. We work with many of the large DMOs in the UK, including Oxford, Cambridge, York, Stratford-upon-Avon and Edinburgh; the software can be applied to single tickets sales through to carefully assembled city passes and itinerary based solutions. Each of our users gets a User Interface tailored to their specific needs. 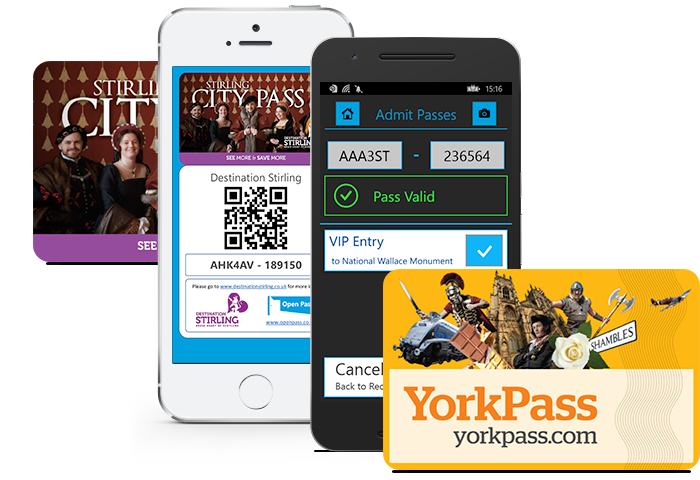 Open Pass tracks entries into attractions – whether the visitor presents a pass, ticket or itinerary. The portal allows for quick codes to be verified or for QR codes to be scanned using webcams or through our dedicated mobile app. During high season tourism can be high turnover – the software is intuitive, requiring little to no training. 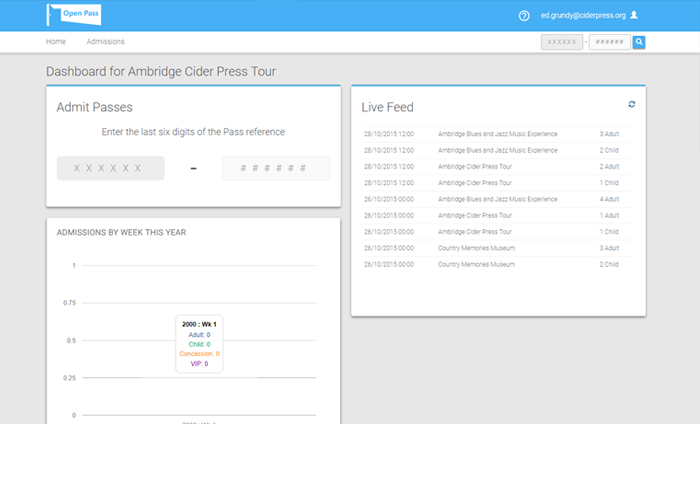 Open Pass gives the vendor the ability to sell any combination of tickets, whether a package of pre-defined itineraries or individual sales. Take payment through your own systems or through our portal. All the financials from customer through to reconciliation with attractions are handled. 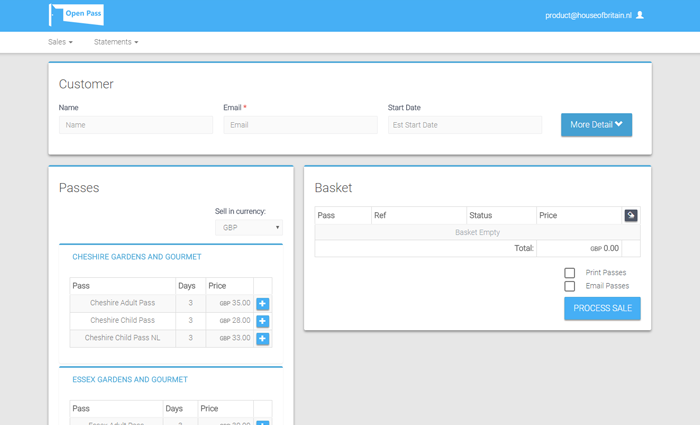 Open Pass integrates with websites and sales systems to allow automated orders and communication for booking requests. Open Pass provides the final commercial step in converting great marketing and product creation into bookable product. Represent your destination – and convert that interest into sales and bookings for your attractions and tourism. Be able to clearly indicate the impact your DMO has on the region with throughput of sales and commissionable product.